Work for Flashissue for Gmail? 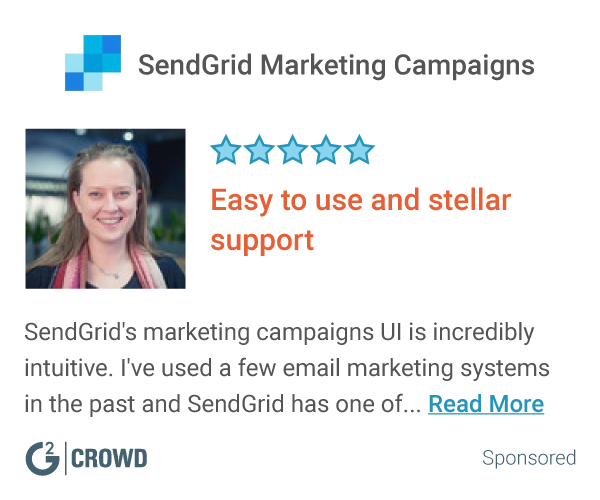 "Quite simple tool to make a solid newsletter campaign "
Works immediately after connecting with your Gmail account. Is in general a solid tool for people who want to make a newsletter without having enough experience for using other advanced tools. I had only a small learning phase and after that I could use all features of this tool. I lost my progress a handful of times while making a new newsletter. Because if the tool crashes it doesn’t save anything of it. This needs to be addressed by the developer team because it is frustrating, and you lose time. This tool is a big help if you are not experienced enough for using “bigger” tools with a lot more features and variety. Of course, I use this tool mainly to create newsletters. They are sent to a small customer ship of me to give them exclusive offers or something like greetings before the holiday season. Secondly, I use this tool to create mailing lists from my contacts within Gmail. This is very easy to make and saves a lot of time. Also, I don’t have the risk to send the wrong email to a wrong person. The fact that an absolute newbie like me can create appealing mailings with this tool. Also, it is not expensive and it saves time. Also, the support was even in the trial period top notch. They responded very quickly and solved all my problems I had at this time. At first, I had some problems with crashes but the support helped me. Also, I think the layout templates and overall design could need a little improvement. You can try it completely for free. So I think you should install it and work your way to your first mailing and see for yourself if the tool fits your requirements. I often get company information from my boss that I have to deliver to certain colleague groups or the whole company. Also, I have to do mass mailings and newsletter sendings for our best customers and partners. With Flashissue I can create a fast and good looking newsletter for this circumstances. "Userfriendly mailings even for beginners"
Although I work as an accountant and never came in contact with designing a mailing before I could handle the tool after a only a short while. At the same time the design variations and settings are huge for such an easy tool. I had some problems with the sending of a certain mail but the support team has not answered in an appropriate time. But I think they will improve in the future if the tool is more successful. For people who search for an easy to handle tool for sending newsletters this is the right one. The trial period is free for all and so you can see for yourself if the offered features are the right ones for you. I build and send out some newsletters with informations and statistics for colleagues and business partners. Also I use it for information regarding certain events. The benefit is clearly that I save a lot of time with the features it offers and at the same time have a nice designed mailing built in a few minutes. "Basic mass Mailing tool for Gmail"
I think it has his strengths in the private sector or for small companys which doesnt focus mainly on newsletter marketing or something. One can easily build a newsletter/mail. The building process is in theory very intuitive and even possible for newcomers. Sending massmails is going fast and without problems. Now the downside. Although the building process of personal mailings is made very easy it has two big flaws. The tool crashes here and there without saving the progress and you can start from the scratch again. That is extremely negative and in a company where time is money one cannot afford this crashes. The other big flaw is the limitation in design. It is not comparable with tools that are more difficult but offer more freedom in the mail build process. For basic needs a good tool but if you want to be serious or having a business I cannot recommend this tool. Honestly I dont use it directly for the business newsletters that are send out to (potential) customers. Nowadays I use it to create internal informations newsletters or mailings that are only for the eyes of my colleagues. The feature to build a standard mailing for your customers or business partners as easy as it gets. The tool is handy and very fast in building. Many errors when building a mailing. I lost all progress once and was very dissatisfied. Especially when I have a critical dead line and want to remind my customers it is bad. Design limitations are also a problem I think. High recommendation for people who want to build standard mailings with no outstanding elements or have no time to do that. For other needs you have to use other tools. We are using it for fast mailing problems in which we have no time for building an expert mailing. The tool exces through its quickness against other email builders. I love the concept of building dynamic Newsletters right in Gmail. If it works, the design around templates would make it easier to create branding and would allow me to build and deliver newsletter information more frequently. When sending my first emails, I received a notice that they were being held for "review" to ensure they are not spam. The note said it could take a few hours to clear for new customers, but after several days they have still not been released or acted upon by FlashIssue. My inquiries go unanswered. Also, I have a paid subscription, but I haven't been able to get any communication from FlashIssue on their educational discount. Overall, it appears that "nobody is home." I am still holding out hope that FlashIssue is just suffering growing pains and will become a quality product and service. Right now, not so much. I hope to solve newsletter marketing challenges with FlashIssue. I have not realized any benefits so far. "Email tool ideal for small companys"
The fast and helpful way to send mass mailings to your customers. It is very easy to handle the installation of this addon. The learning curve is perfect for it and it only needs a few minutes to make your first email. The limitation of design and settings is a problem right now but I think in the future there will be more of them. Also, my progress was not saved a few times at the start when I worked with this program. I used the trial version and will buy the full tool after it. For businesses with only a small customer base, it is an ideal tool and you can try it for free. I have only about a hundred customers that buy my products on a regular base. This tool is ideal for an email notification for all of them. I do not need a more difficult or serious mailing tool. "Good extension for Gmail , but not perfect." If you need an easy to use software for send emails to all your contacts , this can be a good choice for you. This is a good choice if you have a big list of contact and you need a software to manage them all and if you need to fogot about choosing every contact one by one etc..
Also they have some good templates and you can modify them moderatly. It's a very simple easy to use software so i dislike that is not totally adaptable to your needs , for example you cannot change the background of your email and the cells are very fixed and with just few options that you can really change. So for me as a graphic designer it's just something that you can use if you don't want to think to much about it. As you can try it for free , you can give it a chance. It's easy to use, but if you need to send emails to many contact so you need to upgrade and for me personally you can choose better options for the price. This extension help me sometimes if i want to send emails to group of people and let me do some easy change , and upload the images i want inside the template. I used for organizing my contacts and for send them emails in blocks. "Looks nice but emails do not reach recipients"
I like the pre-built templates and the ability to quickly move content, insert pictures. This is a longer list. Emails do not reach recipients. FlashIssue attributes this to spam filters on the inbound server but I have no problems emailing these recipients directly using gmail. Recipients are sporadically categorized as "bounced", meaning the email could not reach them. In almost every instance, the bounce was not legitimate. FlashIssue would add the recipient back, but the same problem occurred on the next email. Recipients show up as unsubscribing when they have not unsubscribed. Customer service is practically useless. There is no phone number to call. When someone does get back to you, it's usually several days later. The technicians are always vague about what it is that they've fixed and they have yet to actually fix any issues. I'm solving zero business problems with FlashIssue. I had planned to use FlashIssue to send my product list to customers 2 times per week. I would guess that only about 60% of customers actually receive the email. Some customers have reached out to me so that I now email them directly. This has caused enormous problems for me and led directly to reductions in sales. Creating simple custom emails with gmail integration. ease of use is a bit tricky getting started. This is a great entry level way to build and customize great emails. I love the integration with gmail. I would highly recommend this to any company looking to get their foot in the door wanting to "up their game" by sending great emails. Asthetically pleasing emails that are easy to send to many people all at once! I enjoy using Flashissue because it allows me to simply create newsletters for my business in a simple way without hassle of knowing HTML or coding of any sort. If theres a way to add more formatting options that would be a plus. Maybe some more templates. "Good option for small business"
This is not an enterprise solution, however if you are running a small business this could be very useful. Drag and drop to create newsletters right in your gmail account. Image quality is compromised. I've tried different sizes, different formats but pictures and logos get pixelated. Content is key, no matter what email service provider you use. A good option to follow up with a small group of leads, send your existing customers some updates. flash issue makes it easier to send communication to a group, and has features to make it more appealing than a typical email. The pricing structure is not the best, but workable. The templates are one of the finest parts of FlashIssue. Unfortunately, some people may think it's a bit too expensive for how much they will actually use it. Take some time to figure out how powerful it really can be! It saves time and makes emails look more professional. Send creative emails easily with Flashissue. Customer service never reply back to emails and they don't have phone. It is like a ghost company. Total silent. We look for a tool that make our emails more attractive and fun to read. Flashissue does it OK. They could offer more design templates. This is great to use when you need to create mailing lists. "Get a head of the curb"
The application is very easy to maneuver. It is easy to save content and add content were needed. I dislike that the free version is limited but I completely understanding it. No business problems at all. Learning about Flashissue for Gmail? * We monitor all Flashissue for Gmail reviews to prevent fraudulent reviews and keep review quality high. We do not post reviews by company employees or direct competitors. Validated reviews require the user to submit a screenshot of the product containing their user ID, in order to verify a user is an actual user of the product. Hi there! Are you looking to implement a solution like Flashissue?